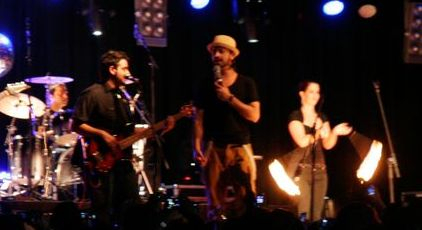 Adding a fire performance to your event adds a touch of the unexpected, as well as providing a beautiful visual spectacle. A skilled performer can create hypnotic effects and movements, mesmerising your audience. 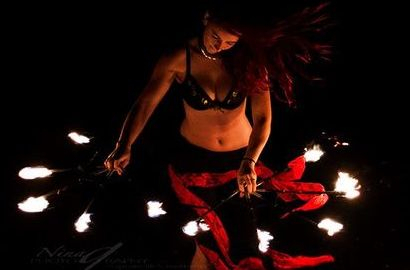 You can select from our dancers who are trained in a variety of fire props, including fans, poi, palm flames, and more, so we can detail the performance to the needs of your event. You will not only get fire dancing but also our integration with Middle Eastern dance, and create a unique set list your guests won't soon forget. While our dancers are all highly responsible individuals who are well versed in the safety protocols of dancing with fire, some venues are not appropriate for fire performances or need permission. 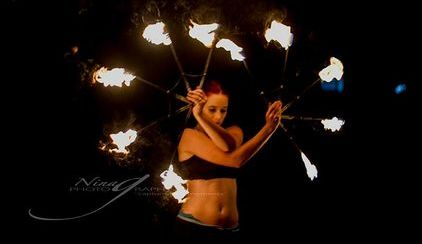 If you're interested in having fire dancers at your function, please contact us so we can ensure you have everything you need for a brilliant event. Click the performance booking form button to fill out an inquiry!